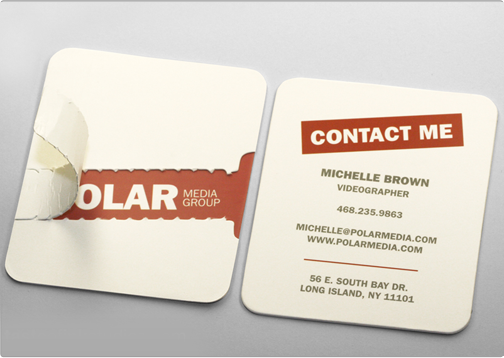 The Polar Media tear off card is an extremely unique and custom business card. 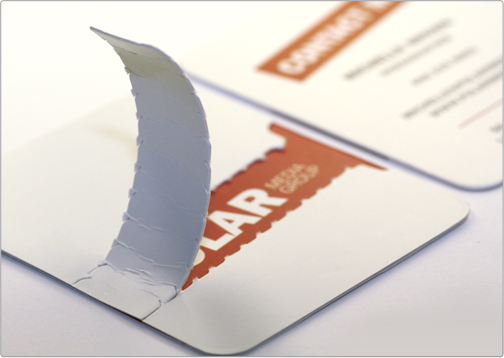 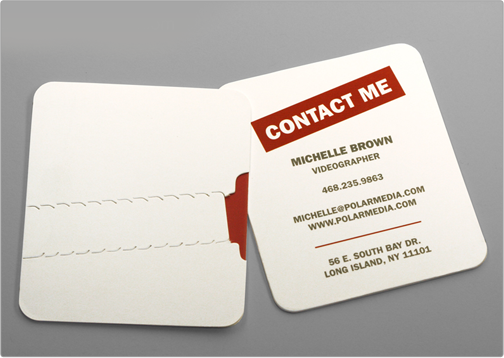 The card features a tear off strip which encloses the company logo. 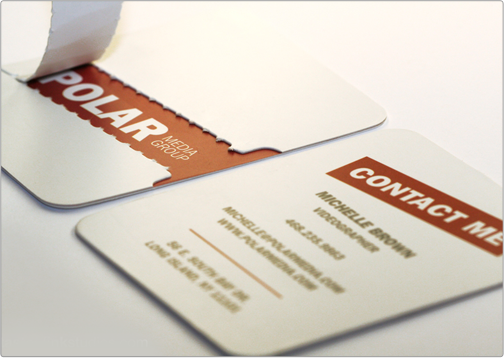 Specs: die cut layered 16pt silk bc/ tear off.